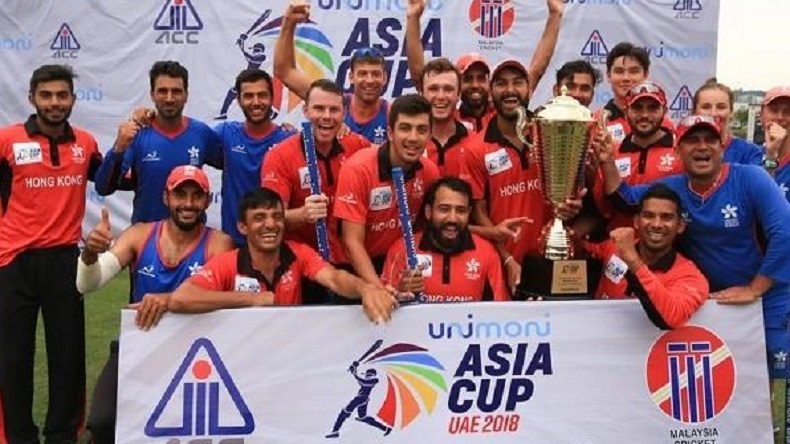 Asia Cup 2018: The Hong Kong cricket team has taken leaps and bounds in the past year, ever since failing to make a mark in the ICC World Cup Qualifiers. Shaking off last year's form, Hong Kong roared louder than any other team in the Asia Cup Qualifiers and aced it with flying colours. The 14th edition of Asia Cup will start from September 15 in the United Arab Emirates (UAE) which will see six continental teams lock horns with each other for the coveted trophy. India, Pakistan, Bangladesh, Sri Lanka and, even, Afghanistan will be the familiar faces in the tournament while one team that will play its maiden international cricket tournament is Hong Kong. The Hong Kong cricket team has taken leaps and bounds in the past year, ever since failing to make a mark in the ICC World Cup Qualifiers. Shaking off last year’s form, Hong Kong roared louder than any other team in the Asia Cup Qualifiers and aced it with flying colours. Just six months after losing the One Day International (ODI) status, the fine performances from Hong Kong forced the International Cricket Council to finally grant them the ODI status. The two games that Hong Kong will play in the upcoming Asia Cup will be considered as the official ODIs. Hong Kong played some sensational cricket in the qualifiers and deservedly booked a place in the Asia Cup 2018. They have been drawn in Group A with two cricketing giants in India and Pakistan. Hong Kong’s chances to make it far in the competition are quite bleak and it will require a monumental effort from them to topple India or Pakistan in their group matches. They will play Pakistan on September 16 and will face Virat Kohli-less India on September 18. Both the matches will be played in Dubai.